A cavity advances faster on it a baby tooth. Please don’t get the idea that, since a baby tooth will be gone, a cavity in it isn’t a big deal. An advanced cavity in a baby tooth might give an effect on the coming permanent tooth. Bacteria found in tooth cavities can be infectious, so it is needed for your family to work for dental prophylaxis together. Giving your kids regular dental care might be an advantage for your kids’ teeth. That could be a big gift for your kids. There is nearly no bacteria found in tooth cavities in a baby’s mouth. The baby tooth turn into vulnerable for cavity around 1 year and a half – 2 years and a half. Dental prophylaxis in this term is very important for your kids’ teeth. A well regulated diet, a controlled snack habit, and a well balanced nutrient intake are important for your kids’ health. 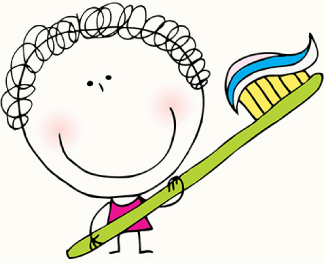 We would like to teach how to manage you and your kids’ dental health.